Cross-posted from nchslibraryinfo.blogspot.com and coauthored by Jackie Whiting. December 5-11 is designated as 2016's Hour of Code week. Students are encouraged to try a one-hour self-led tutorials each day of the week to begin understanding the basic elements of coding. We moved six computer stations to the makerspace for the week, and posted instructions to access a wide array of tutorials. Our NHCS Techxperts will be on hand to field questions and help troubleshoot. 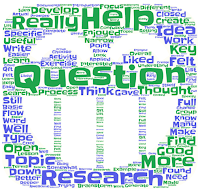 As a follow-up to the election day professional learning workshop we facilitated on inquiry, we launched the English junior research paper by asking students to engage in an exercise called the Question Formulation Technique (QFT) to develop research questions (lesson). This activity was inspired by the book, Make Just One Change: Teach Students to Ask Their Own Questions by Dan Rothstein and Luz Santana and The Right Question Institute. 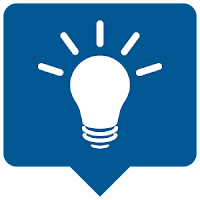 The strategy helps learners deepen their thinking about the research process on a topic, and many succeeded in using the activity to turn research "topics" into research questions. 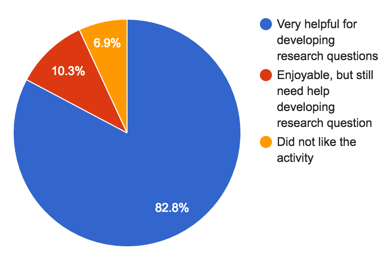 We surveyed participants after the activity asking them for feedback, and learned that over 93 percent enjoyed the lesson, and 82 percent were able to use the activity to generate research questions. 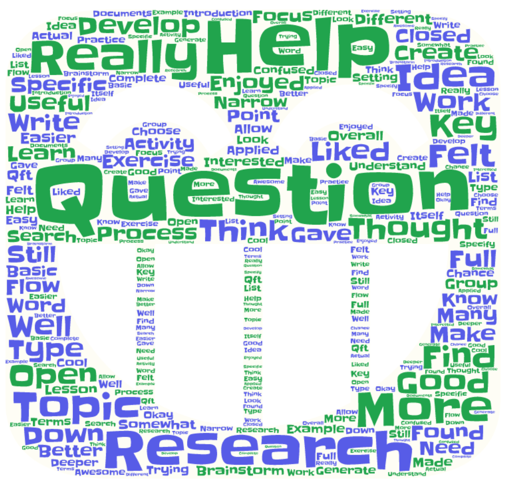 In a follow-up activity using question stems and research question drafts, all students were able to generate their working research questions, and thus move from the "Wonder" phase of the research process into "Inquiry". 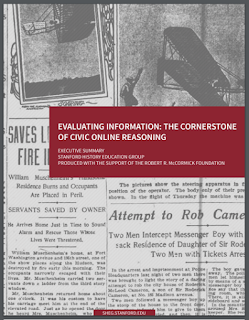 In November, Stanford University's Stanford History Education Group (SHEG) released its Evaluating Information: The Cornerstone of Civic Online Reasoning report. In their own words, civic online reasoning is "the ability to judge the credibility of information that floods young people’s smartphones, tablets, and computers." Over the course of eighteen months, SHEG "administered 56 tasks to students across 12 states. In total, we collected and analyzed 7,804 student responses." Their field work involved students from underserved communities to those matriculated in well-funded high-performing school districts. They included college learners in the study as well. Their findings alarmed even their own researchers. Questions originally dismissed as "too easy" were eventually reintroduced to the instrument because their field work data consistently failed to meet their lowest expectations. We encourage parents, teachers, students and administrators alike to read the report, but this sentence from the "Big Picture" introduction states that "Our “digital natives” may be able to flit between Facebook and Twitter while simultaneously uploading a selfie to Instagram and texting a friend. But when it comes to evaluating information that flows through social media channels, they are easily duped." Sadly, this is not a revelation to NCHS librarians. For years, we have co-taught with classroom teachers to help learners distinguish reporting from opining. This study reveals that the disconnect is even greater than we imagined. Students often struggle to distinguish paid content (advertising) from journalistic content. As we begin our work with junior teachers on the first of two required research papers juniors will be expected to complete this year, we will fold these new findings into our instructional planning. In our last post, we shared information about our simplified EDS, and how students signed into Google can access all of our electronic content without having to re-authenticate with usernames and passwords. This month, while planning for junior research paper instruction, we developed the following tutorial which explains further how EDS works. No update would be complete without our bi-weekly Tech Tips; this installment: more on being a Google power searcher! Chrome accounts: Sign into Chrome. It makes it much easier to toggle between school and other Google accounts. Multiple browsers: Have at least two browsers on your computer. It helps troubleshoot when you run into problems navigating websites. Protect your AirDrop: Make sure your Airdrop is private unless you are sharing.